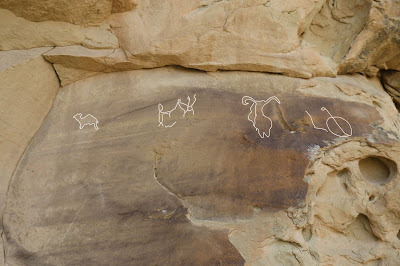 The Camel Ridge site is located in the Canyon Pintado National Historic District near Rangely, Colorado. 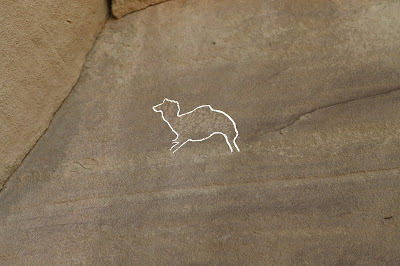 A short trail at the site leads up to a cliff where there is a petroglyph which has a strong resemblance to a camel. 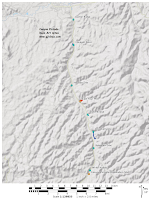 The trailhead is located along Highway 139 one mile from its junction with Highway 64 on the eastern outskirts of the town of Rangely. Parking is available along the shoulder of the highway near the trailhead. At the time we took the pictures for this post the Camel Ridge sign in the above picture was obscured from view somewhat from the highway by a tall growth of greasewood. From the roadway find a trail that leads through the barditch to a gap in the fence. After passing through the fence the trail can be a little hard to pick out. 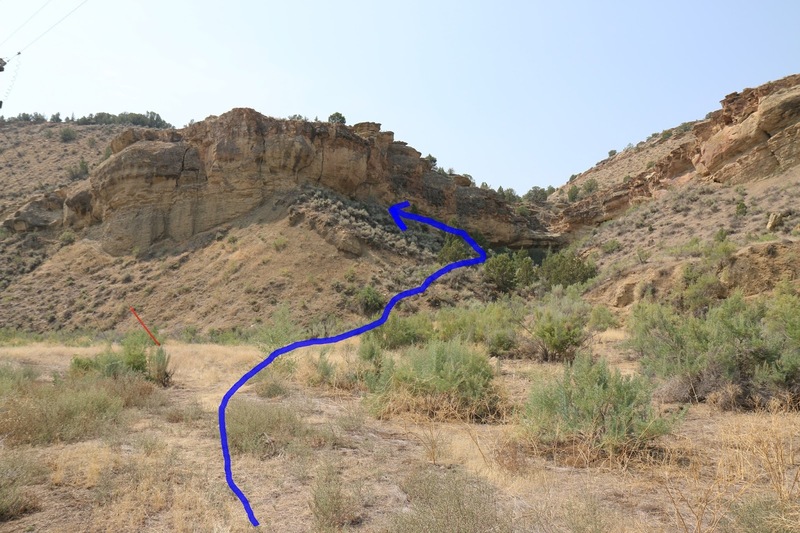 The trail crosses a pipeline that has been reseeded with grass. If you angle to your left toward the hillside the trail becomes more evident after crossing the pipeline. Stay on the left hand side of the drainage as you begin climbing the hillside toward the cliff. You should be able to see a 'Who Passed This Way?' sign hidden in the tall sagebrush from the bottom of the hill. The trail stays to the right of the sign and climbs past it. 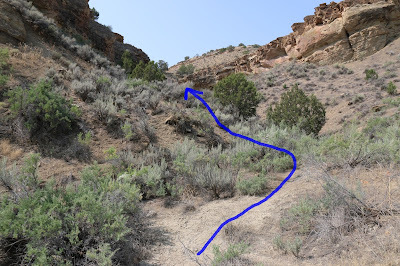 When the trail comes up to the cliff follow it to the left. The petroglyphs are located just before the point of the cliff. Worn by the passage of time the images can be a little hard to see at first. We made a rough outline of some of the images on the computer to make them stand out a little better. 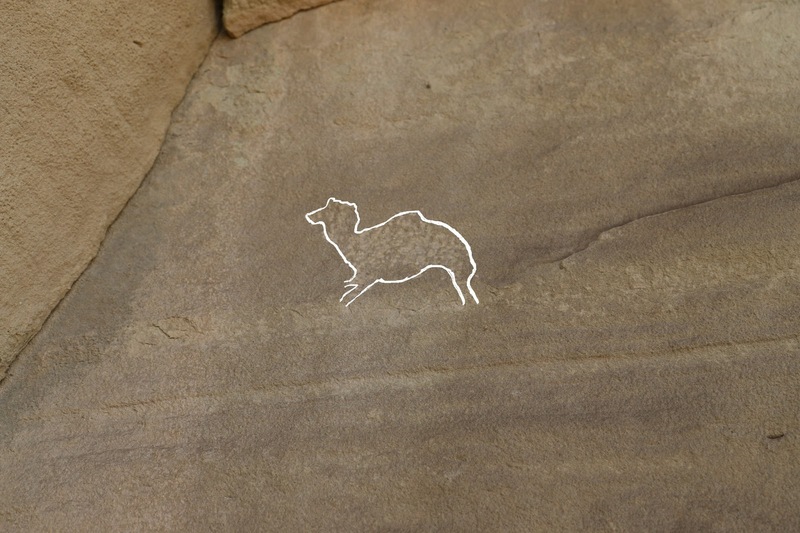 The image of the camel is intriguing to say the least. 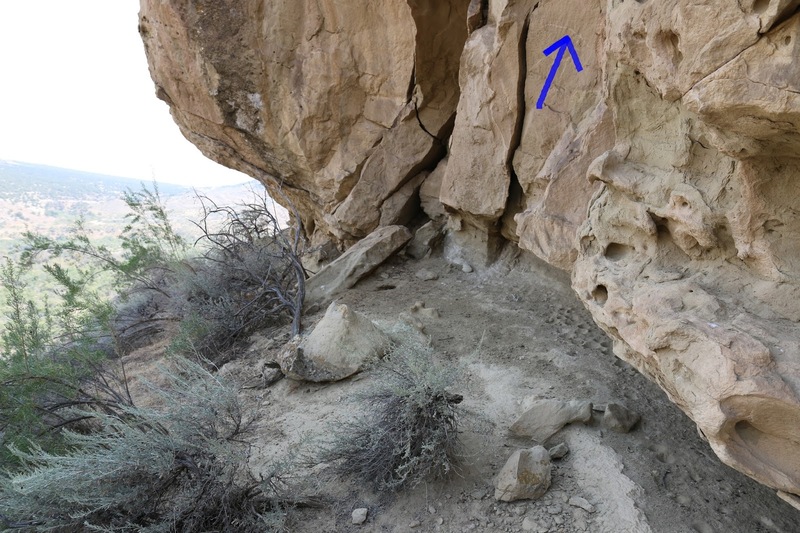 To the left of the panel is the fossilized imprint of what looks like some type of plant. We enlarged it on the computer to get a better look at the top of it to see whether a horizontal line with a half circle had been added to it but we could not determine whether that was the case or not. 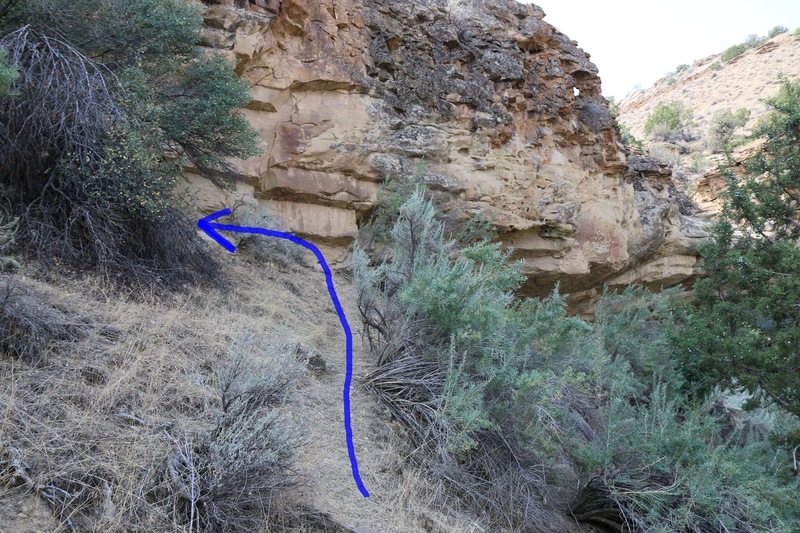 The Camel Ridge site is actually a little north of the first sign for the Canyon Pintado National Historic District. Whether it is intended to be part of the official district or not we can't say. 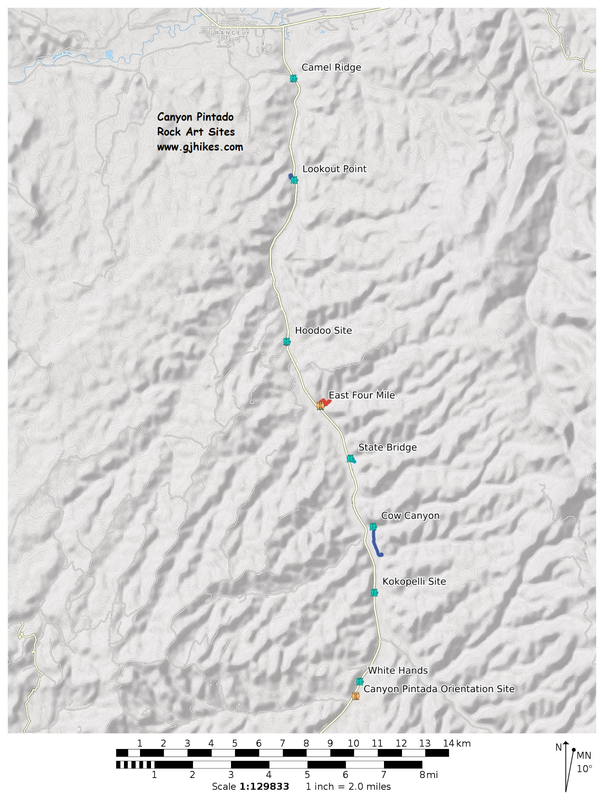 The site doesn't appear on any of the maps at the other locations. We have included it here for completeness and so that it wouldn't become orphaned. In our opinion the site is well worth the few minutes that it takes for a visit. If you would like to see it for yourself then all you have to do is 'Take a hike'.